Excellent UV protection UPF 50+ ( blocks out at least 98% of harmful UV rays)as tested by ARPANSA. 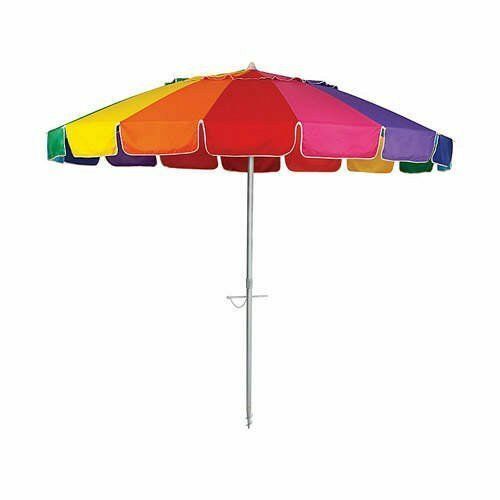 Wider than normal canopy - maxi 8 foot (230cm) , so the whole family plus friends can relax at the beach in shade. 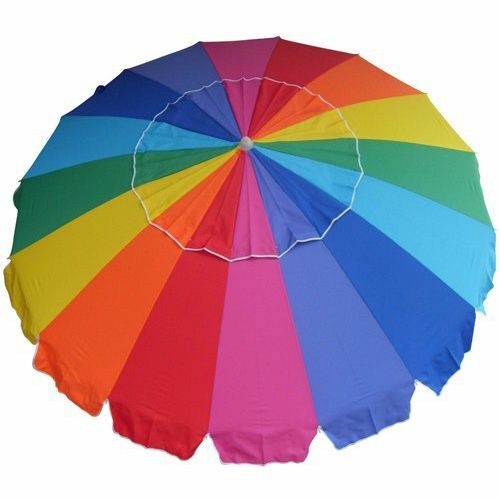 Every beach umbrella comes in its own fabric over-the-shoulder carry bag. 135cm long when packed. 16 flexible fiberglass ribs,giving a quality product.